that’s ready for any challenge? Your search ends with CMS. Our company takes pride in being the premier independent dealer for many of the most recognizable brands in Colorado and Wyoming. We stock an array of mailing equipment products to suit low, mid and high-volume applications. Our wide range of postage meters, mailing and shipping systems, folder inserters, address printers, mail processing equipment and supplies will help improve the processing of your business communications from start to finish. Regardless of how demanding your mailing or printing requirements may be, you’re sure to find the right solution for your needs and budget. 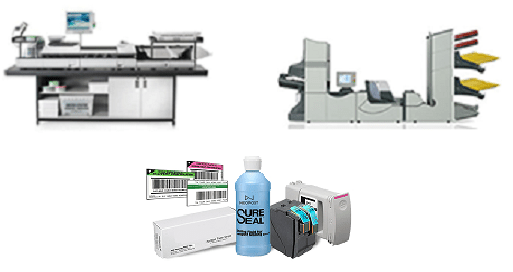 Our products come in different sizes and capabilities to meet your specific needs and meet all USPS requirements. All our equipment is built to last with uncompromising quality. Intuitive features make each machine, large or small, easy for your staff to operate with ease, ensuring you’re up and running without interruption. The breadth of our mailroom equipment denver has you covered, whether it’s preparing outbound mail or distributing and managing inbound mail and packages within your company. We have a solution and options to fit your specific needs, whether it’s a usps postage meter denver for your small business or a large volume mail machine. And, using a usps postage meters denver gives you instant savings on your First-Class letters! If you are manually processing your mail, our equipment can save you time, money and enhance employee morale. Our folder/inserters make quick work of getting your letters, invoices and statements inserted and sealed, ready to go. Mailroom supplies denver keeps your equipment functioning without interruption. Both customer preferences and privacy legislation are impacting how consumers wish to receive communications, and the confidentiality required in sharing private information. Ensure privacy regulations are adhered to in every communication with your clients and customers with OMS-500, which organizes and automates documents from multiple sources into one communication, personalized to each customer based on specific information they are to receive. ConnectSuite allows customers to choose how they wish to receive communciations, whether it is through tradition, digital (or both) means. Need to handle incoming mail and packages more efficiently? Our letter openers make easy work of opening every mail piece, without harming the contents. Don’t ever lose another important letter, package or other asset within your company again. With Neopost’s Web Tracking System (WTS), you’ll know where every item is, in real time, as it moves through your company. Have a large in-house operations department or printing business? We can take your operation to a new level with a broad array of printing finishing equipment that streamlines your cutting, binding and bookletmaking. No matter the size of your business, we have the right solution to fit your specific needs and budget. At CMS, we don’t delay your success, we accelerate it. Our central, local presence in the heart of Colorado reduces transit time to your office and ensures we can fix any problem you may have with minimal downtime. Our range of products are a sound investment in itself. Imagine: you can experience combined savings of up to 31% on equipment, supplies, and postage. This is possible because our products can boost your mailroom’s efficiency and your employees productivity. In addition, they’re designed to help you qualify for the lowest USPS postage rates. We’re committed to helping you every step of the way. Our team will assist you with your concerns before and after the sale. Through proper training, your staff will learn how to harness the capabilities of your equipment and maximize its functionality to your business’s advantage. View each of our selections of equipment to discover the amazing benefits you can enjoy from our products. Contact us today and let’s talk about your needs. For any inquiries or questions regarding our products or prices, please fill out the form below.